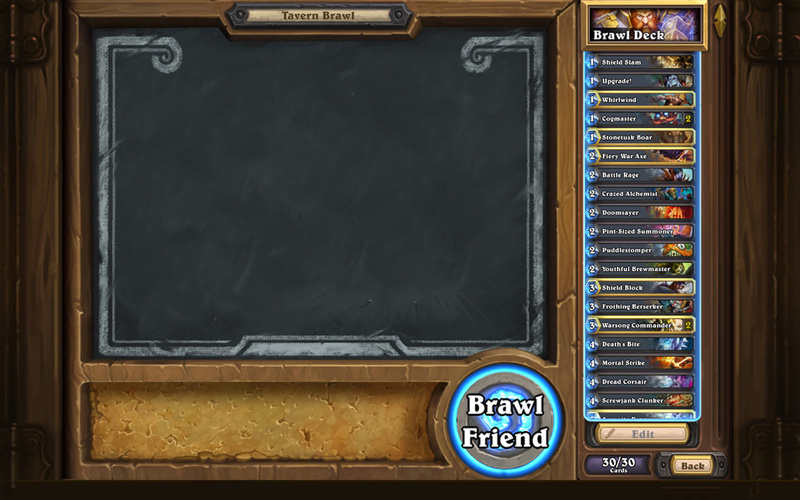 Today’s announcement is particularly interesting, after yesterday new about Blizzard teasing which is now official : A ne game mode has been revealed, the Tavern Brawl which is quite mysterious. The news is also teasing 2 new heroes for Hunters and Mages. 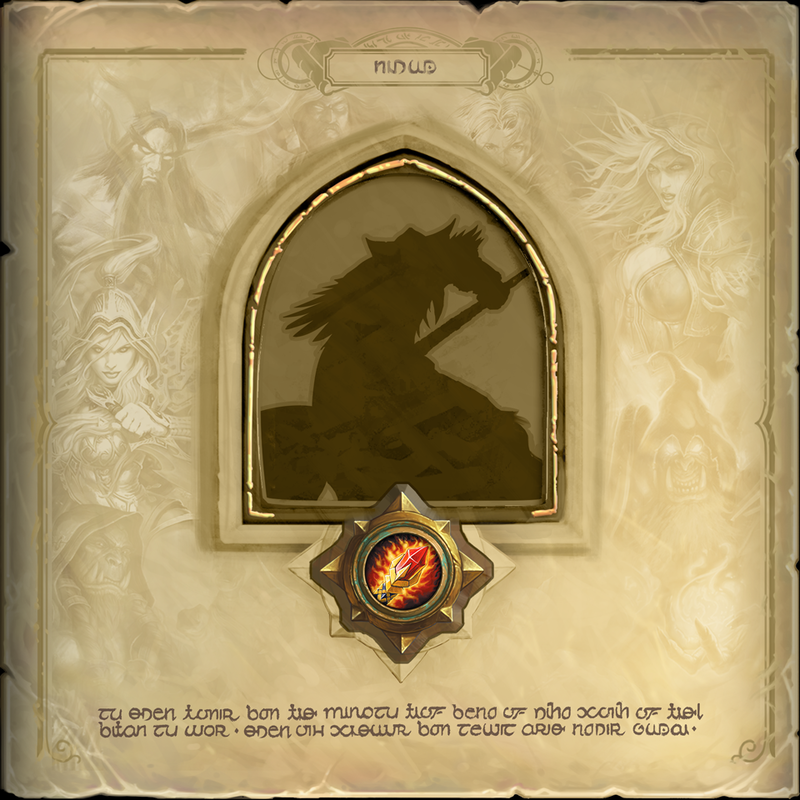 The first one seems to be an elf we don’t know yet if it could be one of the Windrunner sisters like Alleria or Vereesa (since Sylvanas is already a Legendary card an interaction between the two of them seem possible). The last one is “obviously” (for me), Medivh recognizable with his feathers on his shoulders. 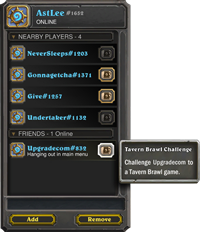 More informations about the Tavern Brawl should come soon since the opening is for Mid-June (maybe even next week)! There’s a rumbling behind the doors of the Tavern. Hearthstone’s latest patch is coming soon and it introduces some big changes and features, so let’s throw open the doors and find out what’s next on tap! 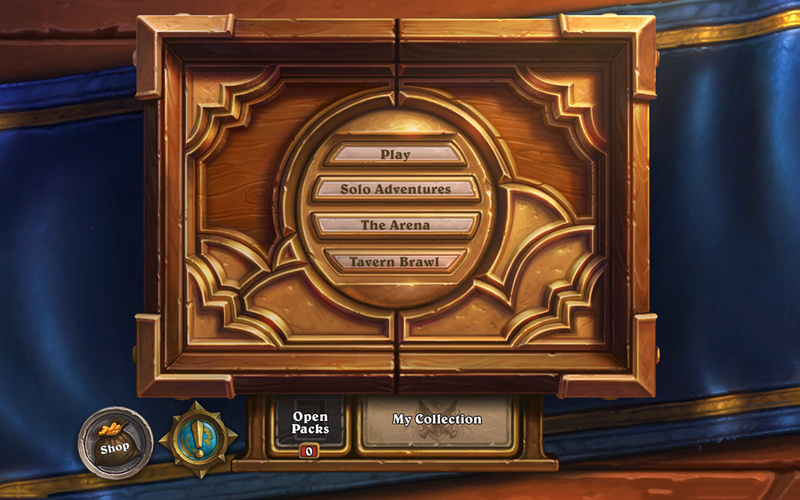 Tavern Brawl is a new way to play Hearthstone: Heroes of Warcraft! 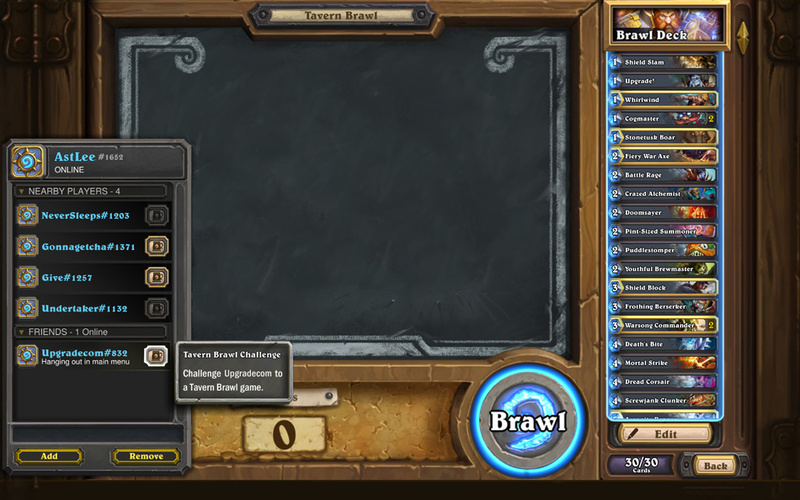 The first playable Tavern Brawl arrives in Mid-June, so get ready to pile on and knock some heads together. Brawls get plenty rowdy, so the Innkeeper will definitely need a couple of days after each one ends to get the inn all tidied up before the next brawl begins. That means Tavern Brawls are temporarily closed while the Innkeeper cleans up before a new, different brawl starts—so be sure to get a match or two in while you can! Stay up to date on when the next Tavern Brawl begins by keeping an eye on the official Hearthstone Twitter and Facebook. Tavern Brawls will have free admission when the new mode becomes available. As part of the launch celebration, you’ll earn a free card pack when you win your first game of the week in the first several brawls! New Heroes put a fresh face on the classes you know and love. Each new Hero takes an iconic personage from Warcraft history and brings them to the inn. These Heroes feature animated portraits, a unique animated version of their Hero Power, personalized game board artwork, all new emotes, special match start animations, and a custom-themed card back. These Heroes will be available for purchase using real money in the Heroes section of the in-game shop. Keep in mind that new Heroes do not add new cards to your collection, change the classes’ Hero Power, and are not considered new classes. 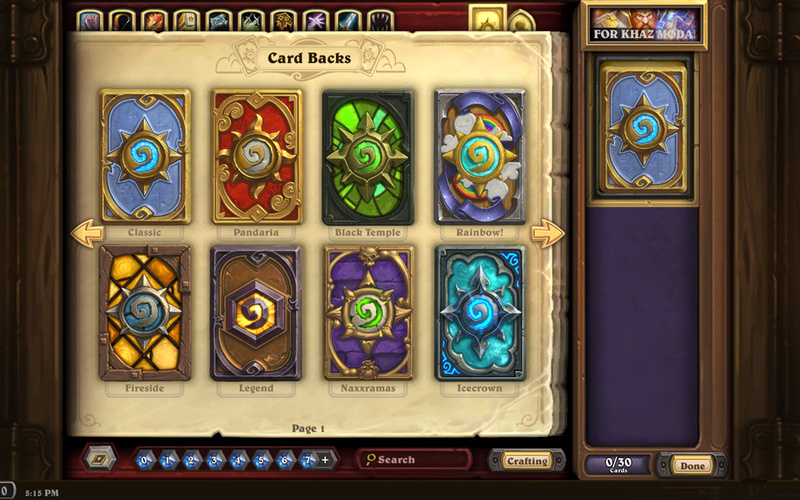 Customize each of your decks like never before by assigning each one its own card back! 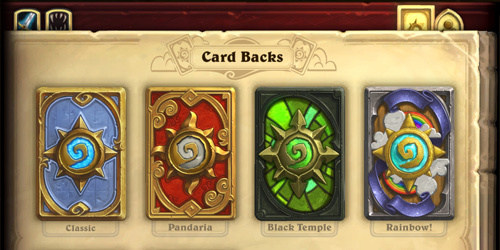 Your card back collection has been moved to the Collection Manager. Selecting a card back will give you a closer look at it and allow you to set it as your favorite, making it your default card back for all decks. If you want to assign a different card back to one of your decks, just open the deck you want to assign the card back to, select the card back tab in your Collection Manager, then drag your card back into the waiting card back slot. Your new Heroes work the exact same way! Just go to the Heroes tab to see all the Heroes you’ve collected. 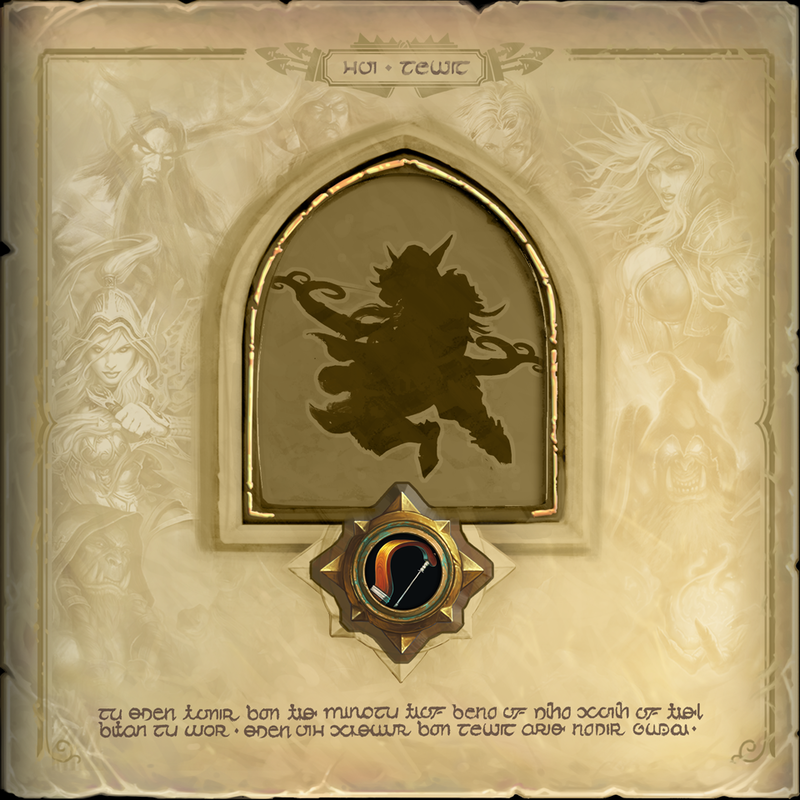 Select a Hero and set them as a favorite, which will assign them to every deck you play with that class. You can also pick and choose Heroes for specific decks, so if a new Hero has joined your collection, you don’t have to leave an old favorite out in the cold. Each deck in your collection can be assigned a unique card back and Hero. We hope you enjoy all the new features coming with Patch 2.7. Be sure to get into a Tavern Brawl, add a new Hero to your roster, and have fun picking a different card back for each of your decks. We’ll see you at the inn!